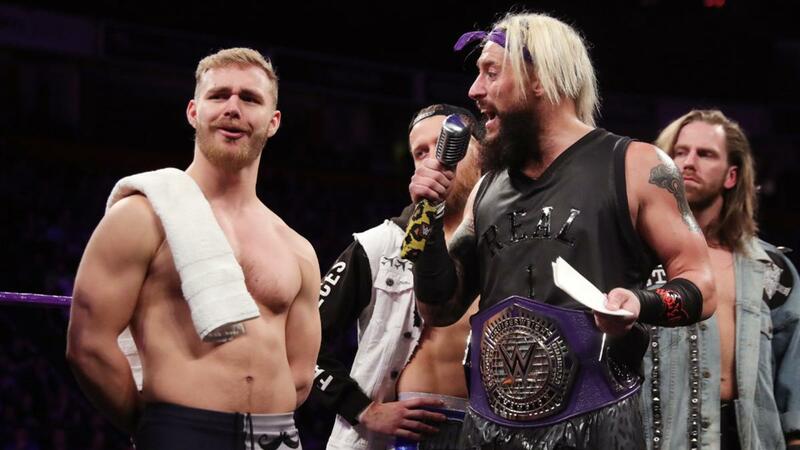 Across The Pond Wrestling: 205 Live 50 Review // Enzo Amore welcomes the UK Championship Division to "The Zo Show"
205 Live 50 Review // Enzo Amore welcomes the UK Championship Division to "The Zo Show"
On 7th November 2017, WWE aired the 50th episode of 205 Live on the WWE Network, taped earlier that day at the Manchester Arena in Manchester, Greater Manchester. The show featured Enzo Amore inviting six members of the UK Championship to the show and subsquently facing off with Tyler Bate, as well as appearances from Kalisto, Gentleman Jack Gallagher, Cedric Alexander, Mark Andrews and Joseph Conners...but was it any good? Lets take a look! As cool as it was to see Tyler Bate (Fight Club: Pro), Mark Andrews (PROGRESS Wrestling), Joseph Conners (Southside Wrestling Entertainment), Jordan Devlin (Over the Top Wrestling), Tucker (Pro Wrestling Ulster) and James Drake (Futureshock Wrestling) on WWE television, I didn't get much out of their 205 Live debuts. That's mostly down to the make up of the segment, which had Enzo Amore auditioning them for a spot on "The Zo Train", with his regular crew not appearing on the show. This almost felt like a segment from the original NXT, with the six men having to do their own versions of "How you doin'? ", before asking each individual questions. Drake's deadpan "choo choo" line was probably the highlight until the end, whilst low moments included a confused Andrews being told to lose weight and Tucker telling Amore that Finn Balor was twice the man Enzo is. Luckily, things finished on a high, when Bate getting a good reaction for his promo and then hitting bop and bang on the Cruiserweight Champion to set up the show's main event. Enzo Amore spoke to Dasha Fuentes, saying something about bar tabs in reference to Tyler Bate. An initially hot crowd quickly cooled on Amore vs. Bate, losing interest almost as soon as Enzo took control. Bate appearing to suffer an injury in the stretch then killed the bout further, as his knee got caught in the top rope when taking a bump from the turnbuckle to the floor, with Amore then spending time mocking the crowd before Jordunzo sealed the victory for the Cruiserweight champion in a flat finish. It seemed like we were scheduled to see more from Bate, who never really got a satisfying comeback sequence once Amore took control. 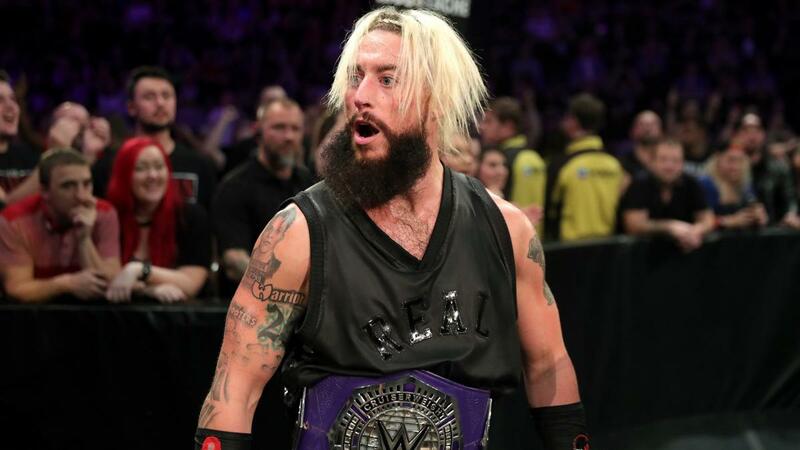 The earlier part of the match featured the hottest crowd of the evening, with Bate having them eating out of the palm of his hand as he out wrestled his opponent, causing Enzo to bail to the floor. The sequence with Bate holding onto a wrist-lock whilst bantering with Amore was a particular highlight, as was the Exploder suplex that followed. Hopefully, Bate's injury wasn't too serious, but at just 20 years old he'll have more opportunities to show the wider WWE fanbase what he has to offer well into the future. Amore laid some more punches in on Bate post-match before Kalisto made the save. On the way to the ring, Jack Gallagher cut a promo on the Manchester crowd, calling them dole scum with chavy children, before putting himself over as "bigger than Britain". There was some lovely wrestling on display here, it's just as shame that Manchester wasn't particularly interested in it. Kalisto got a fun shine included a wicked modified somersault plancha and the rough and tumble Gallagher making the #1 Contender's wrist his focus. There wasn't really enough time to fully make it work and the pair could have done more to bring the crowd into the action, with Kalisto's ridiculous selling of a shoulder tackle not helping the cause. Kalisto did, however, sell his wrist and arm well later in the bout and having Gallagher dodge a second rope moonsault and then lock on a Fujiwara armbar was a nice piece of work, which would've garnered a good reaction in a different environment and with a little more time. The finish with Kalisto rolling through the armbar and straight into Salida del Sol was smoothly done, as well, setting him up for his title challenge a week on Sunday. 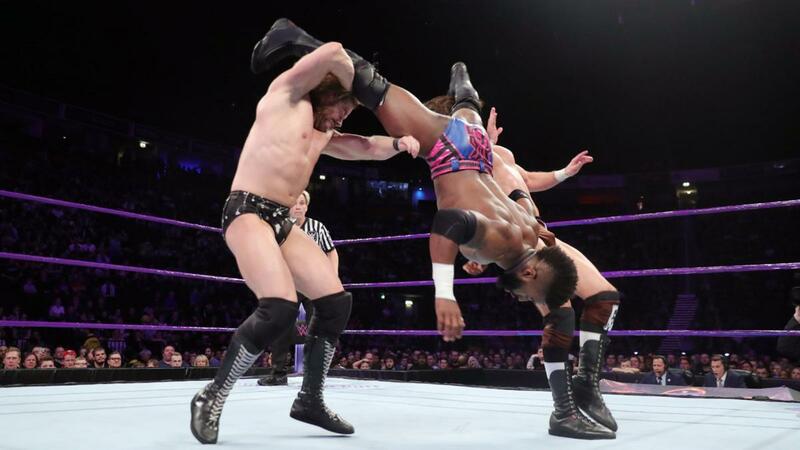 The crowd didn't care, but Mark Andrews, James Drake and Joseph Conners all gave good showings of themselves in their 205 Live debuts, whilst regular Cedric Alexander glued the bout together, setting up Andrews to pin Conners with a Shooting Star Press with a double Neuralyzer (Handspring 540 Kick). Minus a slightly awkward headscissors from Alexander to Drake, the action was all quality in this simple tag contest, with Drake tagging Conners whilst on the apron to cause a distraction was my personal favourite moment!